I’m trying to play stereo out of the 5.1 channels of my U-DAC8 USB DAC. All I get is stereo playback. Does anyone know if this works and if so how to set this up properly? 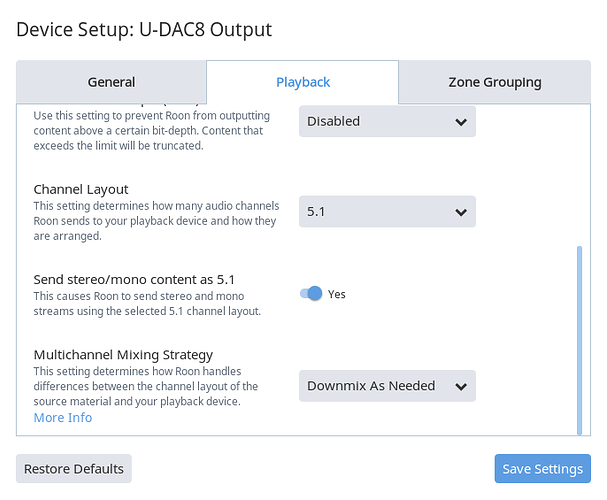 BTW 5.1 content is paying fine in the U-DAC8 USB DAC.